Today was back to normal February temperatures, but mostly sunny skies make today a pleasant day. Sunday will bring similar temperatures, as clouds start building up in front of an approaching system arriving Sunday night. A wintery mix could cause a delay Monday morning. Skies will remain mostly clear, allowing temperatures to fall into the upper teens with winds form the northwest at 5-8 miles per hour, becoming calm by Sunday morning. Tonight will be colder than the temperatures next week, so no polar vortex weather ahead. Sunday will start similarly to today. Winds will start as calm but increase to 4-7 miles per hour from the south. Clouds will increase throughout the day, becoming mostly cloudy by evening with high temperatures in the upper 30s. Right now, the models have the precipitation starting as snow just before midnight. Lows will be around freezing with south winds becoming calm by midnight. 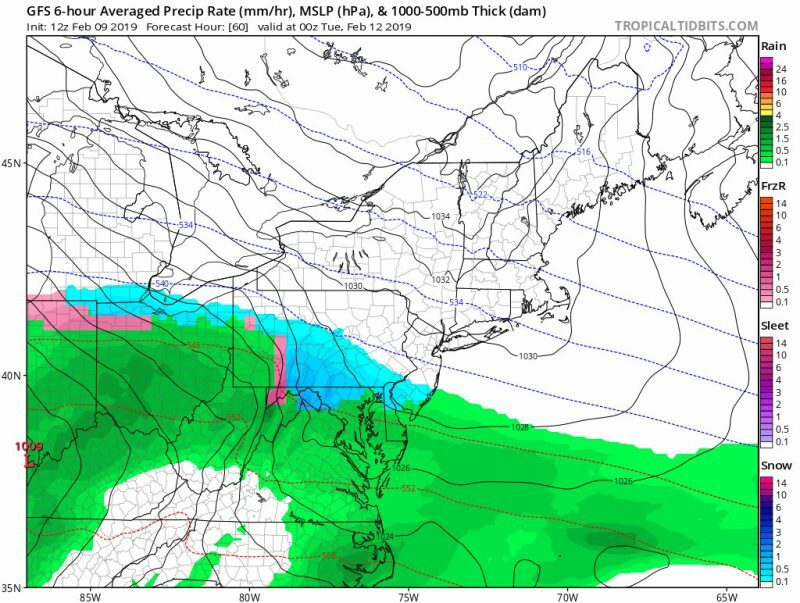 This latest GFS model run from Tropical Tidbits shows snow arriving to the area around midnight Sunday Night/ Monday morning. Monday morning is still a changing forecast. The big question is how quickly will the temperatures warm up to above freezing to end the mixed precipitation. The most recent model runs are trending towards a quicker temperature rise. This would limit accumulation, especially in locations south of Rockville and Laurel. Highs will reach the upper 30s. There is also a question whether the precipitation would change back to a mix. Recent model runs are showing a trend against that in the Metro DC area. Lows will not fall very much into the mid to upper 30s. Temperatures are expected to rise further on Tuesday to the mid 40s, guaranteeing all rain Tuesday. From the same GFS run from Tropical Tidbits we can see that precipitation is mostly rain in the Metro DC area by around 6 a.m. Monday. Slight changes in the placement of the warm air could change the forecast into a longer or shorter period of mixed precipitation. 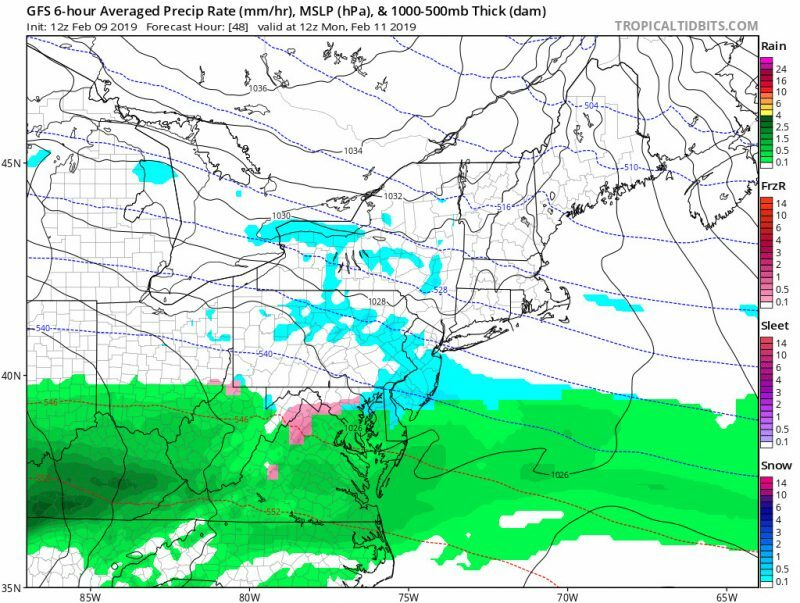 From the same GFS run from Tropical Tidbits we can see that precipitation remains rain in the Metro DC area on Monday evening. Slight changes in the forecast could change the forecast to have a period mix precipitation sometime Monday night. Will There be a Delay? 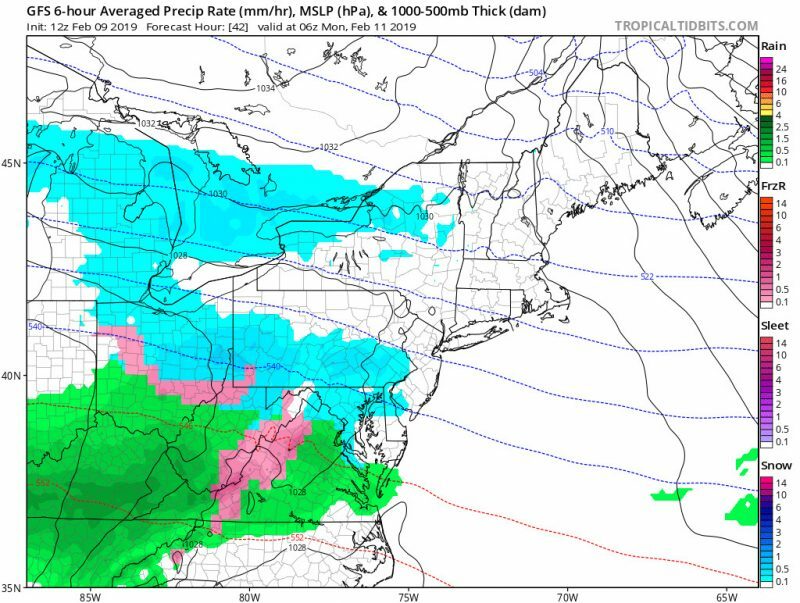 While models are trending away from this scenario, conditions could change to slow the warmth and cause longer time under mixed precipitation. There are currently no advisories for our area, but if one were issued, that would increase a chance of a delay. 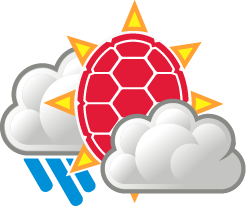 Stay tuned for updates at UMD Weather.